New guidelines stated that screening with an FDA-approved primary HPV test could substitute cytology-based cervical cancer screening methods. Screening women 25 to 29 years remains controversial, however, due in part to concern about the potential harms of beginning screening at 25 years, such as greater detection of cervical intraepithelial neoplasia (CIN) grade 3, triggering repeat colposcopies. Of the 40 901 women (97%) who had valid cobas HPV and liquid-based cytology test results available, 4275 (10%) tested cobas HPV-positive and 2617 (6%) had abnormal cytology; 431 were diagnosed with CIN2 or worse and 274 with CIN3 or worse. Catherine M. Behrens, MD, PhD, an obstetrician/gynecologist and ATHENA investigator, told Cancer Therapy Advisor that more than half the women in the 25 to 29 age group with CIN3+ on the cobas HPV test were found to have normal cytology, meaning they would not be due to be screened again for another 3 years. Clinician attitude and recommendation are 2 of the most important determinants of immunization status among adolescents. Parents cite myriad factors against vaccinating their daughters—and sons—against HPV, including fear of promoting sexual activity. The tools are available to prevent cervical cancer. 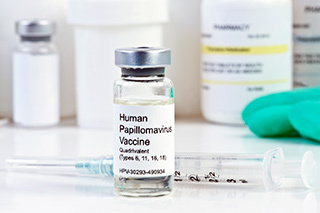 What’s needed now is widespread use of HPV vaccines and ensuring women who are unscreened or under-screened for cervical cancer are informed about the benefits and risks of primary HPV testing. Siegel RL, Miller KD, Jemal A. Cancer statistics, 2015. CA Cancer J Clin. 2012;65(1):5-29. FDA approves Gardasil 9 for prevention of certain cancers caused by five additional types of HPV [news release]. U.S. Food and Drug Administration; December 10, 2014. http://www.fda.gov/NewsEvents/Newsroom/PressAnnouncements/ucm426485.htm. Accessed December 28, 2015. FDA approves first human papillomavirus test for primary cervical cancer screening [news release]. U.S. Food and Drug Administration; April 24, 2014. http://www.fda.gov/NewsEvents/Newsroom/PressAnnouncements/ucm394773.htm. Accessed December 28, 2015. Cervical cancer screening and prevention. Practice Bulletin No. 157. American College of Obstetricians and Gynecologists. Obstet Gynecol. 2016;127(1):e1-20. Castle PE, Stoler MH, Wright TC Jr, et al. Performance of carcinogenic human papillomavirus (HPV) testing and HPV16 or HPV18 genotyping for cervical cancer screening of women aged 25 years and older: a subanalysis of the ATHENA study. Lancet Oncol. 2011;12(9):880-890. Roche Molecular Diagnostics. Cobas® HPV Test. http://molecular.roche.com/assays/Pages/cobasHPVTest.aspx. Accessed December 28, 2015. National Cancer Institute. Surveillance, Epidemiology, and End Results Program. SEER Stat Fact Sheets: Cervix Uteri Cancer. http://seer.cancer.gov/statfacts/html/cervix.html. Accessed December 28, 2015. Merck & Co., Inc. Gardasil ® 9. Prescribing information. https://www.merck.com/product/usa/pi_circulars/g/gardasil_9/gardasil_9_pi.pdf. Accessed December 28, 2015. Brotherton JML, Fridman M, May CL, et al. Early effect of the HPV vaccination programme on cervical abnormalities in Victoria, Australia: an ecological study. Lancet. 2011;377(26):2085-2092.